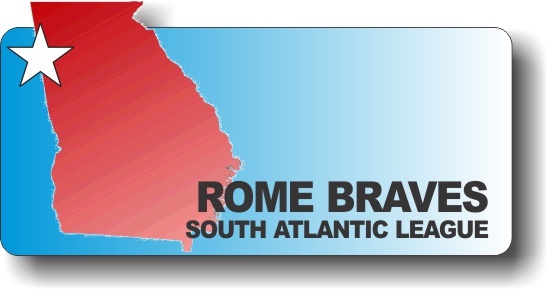 ROME, GA – I’ve had the honor of covering the Rome Braves from the press box this year and words cannot express what I’ve seen in this team, especially in the pitching staff. The Rome Braves have had four first-rounders in their starting rotation this year: Touki Toussaint, Max Fried, Mike Soroka, and Kolby Allard. And non-first rounder Patrick Weigel ended up leading the entire South Atlantic League in strikeouts before being promoted to Mississippi in August. Rome’s rotation through 5 playoff games (Soroka, Allard, Fried, Touki) looks like this: 3-1, 36.1IP, 28K, 4BB, 3ER, 0.75 ERA. What Rome’s pitching coach Dan Meyer and this Rome Braves rotation have done this year is nothing short of remarkable. While the entire pitching staff has been outstanding in Rome, Touki Toussaint might have made the most progress. Touki had a 9.19 ERA in April and when I spoke with him then, he knew that he had to improve his fastball command. Since struggling in April and May, Touki says that he met with Dan Meyer and focused on his fastball and control while not worrying so much about his curve. As he began to figure things out we saw him completely turning things around and having an ERA of 2.17 during the month of June. Touki Toussaint went from having a 4.43 ERA in the first half to a 3.38 ERA in the second. Tuesday night’s performance against Lakewood (again, the best lineup Rome’s faced all year) during a championship situation was very important for Touki and he performed when it matter most. Max Fried also had a stellar performance on Saturday against Charleston. He struck out 11 over 7 2/3 innings to lead the Braves to a win. Mike Soroka showed up, too, but the defense didn’t help him Monday night. For such a young team (the youngest in the league, actually) to shake such a loss off in such quick form was impressive. Not in the starting rotation, I would be remiss if I do not mention Rome reliever, Chase Johnson-Mullins. Chase had a rough outing Monday night and it was gutsy for Randy Ingle to put him in such an important save situation Tuesday night after Chase struggled Monday. Touki was at only 90 pitches through 8 innings, but Ingle felt that building up Chase’s confidence was most important. Turns out, he was right. As Braves fans it’s fun to predict who’s going to be the best and who has the most potential. But, I can tell you after talking to these young guys and watching them all year that it’s truly a toss up and all of them have an incredibly high ceiling. When most of your minor league affiliates make the playoffs, there are many reasons for Braves fans to be excited about the future. But this 2016 Rome Braves rotation might be the biggest reason. 2015 first-rounder Kolby Allard takes the mound Thursday in Lakewood. The Rome squad is now two wins away from bringing home a championship.